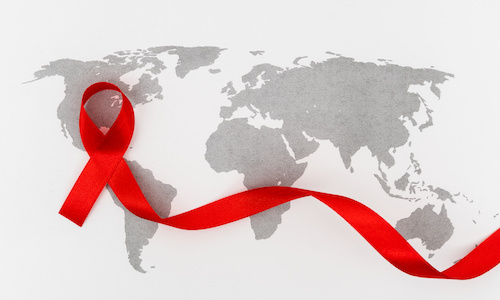 University of Pennsylvania researchers report that they have genetically altered immune cells to resist infection in patients with HIV, while also reducing the viral load in some of the subjects after they were taken off of antiretroviral drug therapy. The findings of their study, published in the March 6, 2014 edition of the New England Journal of Medicine, hint at the future potential for gene therapy to treat the virus without the use of drugs. The Phase I study, which is the first published report of gene editing in humans, analyzes the safety of altering a patient's T cells to replicate a naturally occurring resistance to HIV while potentially limiting viral loads. In the nonrandomized uncontrolled study, a single dose of autologous CD4 T cells modified with zinc-finger nuclease (ZFN) to inactivate the CCR5 gene, which allows HIV to take hold, were infused in 12 patients with chronic aviremic HIV infection between May 2009 and July 2012. At the end of week 1, the median CD4 T-cell count totaled 1517 per cubic millimeter, a significant increase from the pre-infusion count of 448 per cubic millimeter. The median concentration of the CCR5-modified CD4 T cells at 1 week was 250 cells per cubic millimeter, which constitutes 8.8% of circulating peripheral-blood mononuclear cells and 13.9% of circulating CD4 T cells, according to the researchers. The modified cells also had an estimated mean half-life of 48 weeks, but during treatment interruption and the resultant viremia, the decrease in the modified cells (−1.81 cells per day) was significantly lower than the drop in unmodified cells (−7.25 cells per day). In 1 of 4 patients who could be evaluated, the HIV RNA became undetectable, while the blood level of HIV DNA in most of the other patients declined. 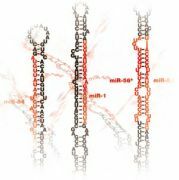 The subject whose viral load fell to an undetectable level was later discovered to be heterozygous for a mutation that leads to CCR5 deletion. “Successful clinical application will most likely depend on biallelic knockout in persons who have two non-mutated CCR5 alleles,” the authors write. One serious adverse event occurred with the infusion of the modified CD4 T cells, but the reaction was attributed to a transfusion reaction. The treatment was ultimately deemed safe and tolerable, with the modified cells persisting in patients during follow-up testing.